Sell the place and keep the cash, or hold on to your family legacy? In south-central Manitoba, a couple we’ll call Perry, 50, and Lucy, 45, are feeling pressure to operate the family grain farm. Perry’s parents recently passed away and the 480-acre farm is Perry and Lucy’s. If they go back to the farm from their off-farm careers, they will give up a combined annual off-farm income totaling $130,000, about equally at $65,000 each. But making that much money on the farm with a mix of grain and pasture is not likely. Their children, ages five and six, like the idea of living in the country, but running the farm would mean giving up stable jobs in town to take a chance on crop prices and weather. We asked Stan MacEwen, a senior associate with accounting firm Laskowski & Wright LLP in Warman, Sask., and a member of the Canadian Association of Farm Advisors, to look at Perry and Lucy’s situation. There are two paths, he says. If the couple realizes $600,000 for the sale of the farm, as a neighbour has offered, money would be available to pay off their own $132,000 mortgage and fill up their RRSP space to bring Perry and Lucy’s tax rates on their town job incomes down to a middle-Manitoba range of about 33 per cent. Proceeds over the cost, split between Perry and Lucy, would be sheltered by the $1 million Qualified Farm Property Lifetime Capital Gains Exemption. The Alternative Minimum Tax would apply, effectively shifting tax relief forward over the seven years following the sale. Most and probably all of the deferred tax from the farm sale could be recovered. This would reduce the cost of the AMT to just about zero. There is more to do with any spare cash. Perry and Lucy should take full advantage of Registered Education Savings Plans and the Canada Education Savings Grant. The Canada Child Benefit provides $300 per month to the family. CCB payments decline as children reach age six and as parents’ income rises. For now, CCB payments to the family can go to their Registered Education Savings Plan. By adding $2,500 per child under 17 per year to the RESP, the plans will get the CESG annual bonus to a limit of the lesser of $500 or 20 per cent of annual contributions. There is a $7,200 cap on lifetime grants of the CESG and a $50,000 cap on total contributions per beneficiary. For now, the CESG provides an instant 20 per cent gain for contributions. If Perry and Lucy take advantage of the RESP space and contributions plus the CESG grow at three per cent per year after inflation, then at age 17, each child should have about $55,000 for post-secondary education. That’s enough for any institution in Manitoba, assuming that the kids live at home. Spare cash can go to Tax-Free Savings Accounts. The limit as of Jan. 1, 2019 is $63,000. Perry and Lucy have just $10,000 in each of their TFSA accounts, so the money would be advantageous. For now, the TFSA limit climbs at $5,500 per year. If Perry retires at age 60, he and Lucy can start to tap their RRSPs, enhanced with town job income and proceeds of investment money from sale of the farm at a rate of $12,000 per year each along with $12,000 each per year from their taxable accounts. Those figures would be supportable by the level of present contributions and consistent additions to RRSPs at $5,000 per partner per year assuming even shares of income. Tapping RRSPs early cuts down on tax-free growth of assets but it also avoids having rising payouts pushed into higher tax brackets. Waiting to start at 65 is a good compromise. Would it be tax-efficient to start their Canada Pension Plan benefits at age 60? Or wait to age 70? Waiting could be done by tapping Tax-Free Savings Account balances built up over the previous decade. Money would come out tax-free, of course, while the CPP benefits grow. Taking early CPP benefits costs 7.2 per cent per year of age 65 payments. Postponement to 70 adds 8.4 per cent per year. If Perry and Lucy are healthy, then leave the benefits to grow, MacEwen advises. When Perry is 70 and Lucy 65 they will have annual estimated OAS benefits of $7,210 each at 2019 rates and combined CPP benefits totaling $16,430 on the same basis. Perry and Lucy would be able to add estimated investment income of $13,600 from investment of $85,000 farm sale proceeds not put into registered plans and annual additions of $12,000 and, finally, Registered Retirement Income Fund cash flow of $24,000 per year, assuming that their present balances totaling $82,000 grow with $12,000 total annual combined contributions for 20 years to $480,000 and then are paid out in full for 30 years beginning at age 65. That would push their 2029 income to a baseline of $68,450 per year apart from any income from jobs in town. Plan One works in financial terms, but it fails to maintain the legacy Perry’s parents built. There is an alternative — keep the farm in the family and rent out the land. Perry and Lucy could rent out the land for three per cent of fair market value plus a share of crop sales. A neighbouring farmer has offered $600,000 for the farm land, effectively $1,250 per acre. The rent would then be $18,000 year and a negotiable share of crops sold. Lucy could reduce her work week to perhaps two or three days and spend more time with the children. Lucy’s income might decrease, but that would be at least partially compensated by a larger payment from the non-taxable Canada Child Benefit and reduced child care costs. 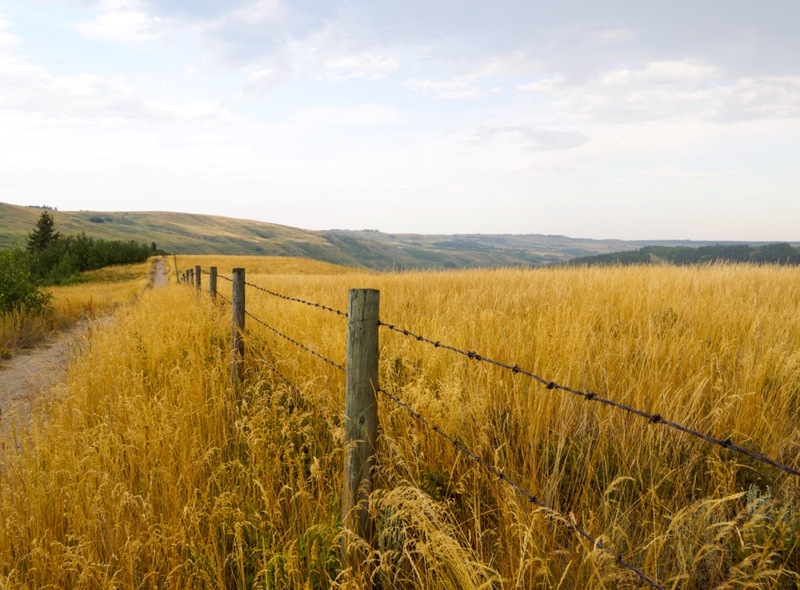 Staying on the land could eventually result in a higher value for the farm. With a four per cent annual growth in the value of farm land, the 480-acre spread could grow to a theoretical price of $888,000 in 10 years. If the growth of land value were to be 14 per cent per year, as it has been for the last decade, then the price in 10 years would be $2.2 million. Perry would be on the cusp of retirement. It would be a good time to revisit the plan for keeping the farm in the family. That sum, invested to generate three per cent a year after inflation, would produce a pre-tax return of $66,000 per year. Add OAS at $7,210 per year and our estimated CPP benefit averaging $8,215 per person, and the couple would have pre-tax income of $96,850. Individual RRSP payouts and TFSA draws would add to total income. This plan, holding for 10 years then reviewing selling, would also provide time to evaluate whether to retain ownership of the farm and preserve it for the children. The two plans have different strengths and weaknesses. Plan One would allow for diversification of assets via the cash balances raised. Perry and Lucy need to decide if they are more comfortable owning the farm than selling it and owning more off-farm investments. In the last decade, it was hard to beat owning farm land. But in future, the financial returns to land ownership might decline, MacEwen explains. Keeping the farm might not be as lucrative as working in town and investing money from sale of the farm. But over the long run, land appreciation is likely to make up for poor crop years. Money alone will not be the bottom line, it will also be family values, MacEwen says.